Our Coconut Milk Melt and Pour Soap Base is a detergent free base that is opaque and white in color. It contains coconut milk, which is thought to be high in antioxidants and an excellent natural moisturizer for the skin. The two-pound tray is the perfect size container for projects making (8) 4 oz. bars of soap. The lid allows for unused soap to easily be stored for future use. Package: 2 lb Tray Melt Point: 120-125º F.
Sorbitol, Sodium Cocoate, Propylene Glycol, Sodium Stearate, Glycerin, Cocos Nucifera (Coconut) Fruit Juice, Titanium Dioxide. Sorbitol, Coconut Oil, Propylene Glycol, Stearic Acid, Water, Sodium Hydroxide, Glycerin, Coconut Milk, Titanium Dioxide. MELT: Determine amount of melt and pour soap base needed for your project. Carefully slice soap base into small pieces and place in microwave safe container. Heat on low at 30 second intervals. Stir between intervals until liquid. Handle hot soap carefully as it may burn the skin. Soap can also be melted in a double boiler. MOLD: Stir in cosmetic color, cosmetic scent, and skin safe additives. Pour into a Crafter's Choice mold. Spritz soap surface with rubbing alcohol to remove bubbles. Allow to cool until hard. ENJOY: Remove from mold and wrap with airtight plastic wrap. Your newly created melt and pour soap is now ready to use! CAUTION: Melted soap is hot! For ages 15 and older. "melt and pour coconut milk"
COMMENTS: Great value. Left skin feeling smoother and hydrated. COMMENTS: Easy to use and works great. COMMENTS: Bought this as another alternative to goats milk for a customer. It is a great base and would use it again. COMMENTS: My first try with your M&P bases and I am very pleased. This one works great with all my additives and fragrances, and I find it to be very moisturizing as well. So pleased that you offer these detergent free bases. COMMENTS: Absolutely love this base! I'm new to mp but this base melted smoothly and was a dream to use. COMMENTS: I love to use this soap for my dogs. One of them has allergies and has no problem with the detergent free soap. Highly recommend this product! COMMENTS: Love the soft fluffy lather. COMMENTS: I have always been a huge goat's milk fan but when I tried this I loved it. Nice silky foam, held the scent nicely and melted very easily. Will buy again for sure. COMMENTS: This rich, creamy base is a favorite for adding colored embeds and shapes. The scent is subtle, soft and clean. "Great Melt and Pour Soap"
COMMENTS: You can't go wrong with this soap for all kinds of projects!! "Makes a perfect Pond foam when whipped up"
COMMENTS: I love using this whipped as a foam on my kids soaps that are ponds. COMMENTS: Received in a kit I bought. Very smooth and easy to work with. Gives a nice creamy and soft lather, nothing crazy as it is detergent free. Set up quickly and very nicely. Noticed it started sweating very quickly/easily though. Overall would definitely buy again. COMMENTS: Love the coconut factor and it's transparency. Easy to use. "Nice product - a little oily"
COMMENTS: I received the coconut soap base in a kit that I ordered. The soap is more oily than I expected however, the customers that have purchased the soap from the kit absolutely love it. With that said, I will purchase again. COMMENTS: Can I tell you I love this soap. The lather is silky smooth and creamy. It left my hands feeling soft with out drying them out. This is a new addition for fall shows. COMMENTS: Easy to use. Sets up fast. Takes color and fragrance well. "Skin So Soft - Excellent"
COMMENTS: Just got my order and poured a batch - I was pleasantly surprised this was really easy to melt and so smooth. M & P soaps don't last as long as CP soap so I hope with the ease of melting it becomes a 'hard' bar and doesn't deteriorate quickly. Tried a quick sample and I am really happy I ordered this. I look for ease of melting, good looking bars when poured & hardened, great lather, soft feel on your skin and good ingredients. This M & P base has it all. I've tried many others, many different companies, and I'm really happy I decided to try this one. I hope once it hardens it will be just as excellent when used and if so, this will be the only soap for my company. COMMENTS: The Coconut Milk MP Soap Base is very popular with my customers. I love it because it is smooth and creamy and also easy to work with. COMMENTS: This is one of my favorite MP bases. I was not always a customer of WSP, and I will say that my previous bases from my previous company was not the best. This soap always leaves my skin so moisturized. Thanks WSP for another top quality product. COMMENTS: I use it to blend with other detergent free bases to add more benefits to my bar of soap without having to add liquids to my bases. I absolutely love it. It has a pleasant sweet milk aroma that is easily covered up by FOs of EOs. Love it! COMMENTS: I am a lover of all things coconut and this is no exception. It's frrld as nice and creamy as expected. Can't wait to order mpre! "I love coconut and this melt & pour is great!" COMMENTS: I bought several of the detergent free mp soaps. They were so easy to use and the coconut milk is so indulgent. You feel like you are really being pampered. They took natural colorants and essential oils well. I'd recommend this to anyone. COMMENTS: Such a delightful product! I made these babies up and they flew off the shelf! I love the light smell its has as well as the way they make the face feel. No drying or tightening the skin. With a little added oil and fragrance this soap works wonders! COMMENTS: I bought several of the detergent free mp soaps to make with my girls. They were so easy to use and the coconut milk is so indulgent. You feel like you are really being pampered. They took natural colorants and essential oils well. COMMENTS: My skin loves the Detergent Free Coconut Milk MP Soap. We have dry cold winters and my husband and I get dry and itchy skin with store bought products. Since I started using the DFCM soap and a few additives my skin looks so much better the last 2 years. COMMENTS: I love these detergent free soap bases and I love everything coconut, especially soaps. This base is very white! I'm able to cut a few pieces from this and mix it into my clear to get a more opaque color. Also alone, the coconut milk base takes colors well and has a nice lather. Besides making soaps, I use it in body scrubs and bath bombs. COMMENTS: This is my favorite base to use for custom luxury soaps. It's so smooth and creamy. Great product. Holds scents beautifully. COMMENTS: Very nice, clean, bubbles. COMMENTS: Surprised how nice this is . Creamy milk lather - love it ! Holds scent well too. COMMENTS: Great soap, but it does sweat easier and takes much longer to harden! COMMENTS: This soap base is amazing. I'm so glad I've started using it. Very smooth with lots of suds. I really like it for my babies soap who have sensative asking. COMMENTS: I love the coconut milk. This was easy to work with. I have tried many bases from other companies this one is the easiest. COMMENTS: Love this base for my Rubber Duckie soaps. Very Mild with great lather. COMMENTS: I primarily use the MP bases to make solid sugar scrubs. I haven't been disappointed by a single detergent free MP base yet! COMMENTS: I chopped up the pieces and put it in the microwave and it melted pretty fast. It took the essential oils I added very good. I will definitely be buying this again. COMMENTS: My first batch of soap, I used Goat's Milk MP for imbeds and it hardened up quickly and was easy to work with. This Coconut Base was very smooth and shiny, but would not hold a thin shape like the Goat's Milk did and took forever to get hard enough to think about pouring the soap over the shapes. I waited until the MP clear suspension base was 136 degrees, poured it over the embeds and they melted! Such a different experience than the GM!! I think I will try some stearic acid since I still have a lot left. COMMENTS: Many recipes to use with this base. Customers love how it makes their skin feel. COMMENTS: Feels great in my skin! Will be buying more. COMMENTS: I love how great this is for your skin. It leaves you with such soft silky skin. I absolutely LOVE this product! The natural contents are so awesome for the skin. I have clients quickly spreading the word about how fabulous my soaps are. • The effects on you skin is awesome! • The ease of use for melt and pour. "More Than What I Was Expecting"
COMMENTS: Upon releasing this soap from the tray, could just tell the difference from other bases I've purchased before. It is silky smooth to the touch, which made me feel like it would also be the same once used. My mom and i lathered our hands with a small piece, she stated that its smooth, and she felt like no lotion was necessary afterward. It smells just like the coconut milk drink, but the scent is faint and very refreshing. I think my customers are recalling going to like this one. Im waiting for the 10 lb block to become available again so i can order it asap. "Makes a smooth silky soap"
COMMENTS: I've added coconut oil to my m&p soap base beginning in 1998; I made this blend for my dad's dry skin due to radiation treatment. Now, I don't have to blend the two, it's done for me! I love this soap base and it doesn't interfere with the EO or FO's fragrances I use. I recommend it. "Coconut Milk MP - love it"
COMMENTS: This was the first time I tried this soap base. I love it so much better than other soap bases. I found it really easy to melt down and it holds scent really well. Customers really like it because it is something new. I just call it Coconut Milk Soap and people buy it like crazy. I sell it two ways scented with my favorite wholesale supplies fragrance or I have even sold it unscented. People love it both ways. Thank you Wholesale Sipllies Plus! • Nothing. I love it! COMMENTS: I decided to try the detergent free coconut soap, and wasn't too impressed. Not that its a bad base, I just couldn't get any coconut scent that others raved about,it just smelled like "soap" to me, and the finished products were very...shiny...and something about the shinyness was off putting to me. I don't if it is a feature of other detergent free bases or just this one, but I don't think I'll try this again. • why is it so shiny?? COMMENTS: I love this soap base. I've tried other brands and this is bay far the best one. I'm definitely reordering more. COMMENTS: I also bought the Basic Goat Milk Soap Base and that was great. This is nothing like that and ordinarily, coconut milk soaps have an unbeatable, creamy lather. Very disappointed and am reluctant to sell bars made from it. COMMENTS: Super creamy soap. I'll always have this in stock. COMMENTS: Will always include in my soap bars! Makes for an excellent soap and customers like it! COMMENTS: Love it. Makes soaps super creamy lather. Love it! 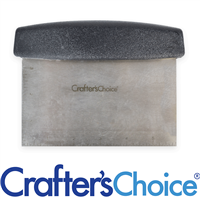 "Crafters D. F. Coconut Milk MP- 2lb tray"
COMMENTS: Love this melt and pour soap! I use this with all my Coconut Fragrance Oil Soaps for an extra scent boost and it makes for an excellent skin conditioning soap bar as well! Takes fragrance, color, additives excellent!!!! A WONDERFUL PRODUCT!!!! LOVE!! !HIGHLY RECCOMMEND!!! COMMENTS: Melted down easily, didn't clump up on me. Lathers nicely and I love that it has coconut milk in it. COMMENTS: The only thing I do not like about this product is that the soap is very sticky. Also, shipping is rather slow. Love the prices! "The best melt and pour!" COMMENTS: This product holds colors very well! COMMENTS: This was my first time ordering my soap base from you and I am very happy with the quality of this base. My soaps came out perfect. Next time I will be ordering a much a bigger block since I loved it so much. COMMENTS: This product is so easy to work with. I love the fact that it is detergent free. This is VERY important to me. COMMENTS: I finally found the soap to moisturize and not melt away after only a few showers! It lathers very well and holds color great! Will buy again! COMMENTS: This one is a keeper! I don't normally make any soap bars but I wanted to use activated charcoal in something. I made coconut and charcoal bars with this base and they came out really nice. This is still a pretty soft base even with stearic acid added so you have to be careful when unmolding to not stick your nails through any of the edges. I used regular plastic molds and they popped out very easily after letting them set up overnight. Plus, I haven't had an sweat with this base. Perfect! 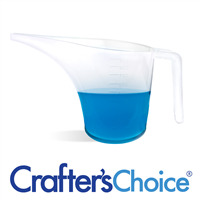 "Crafter's Choice Detergent free coconut soap base"
COMMENTS: LOVE this base!!!! The coconut scent is light and clean, you get a really nice lather and no sticky filmy feeling. It blends so beautifully with other scents and colors. I made a soap that i added orange flavored tea and it all blended so nicely. COMMENTS: Love that this is detergent free. Made beautiful soaps! COMMENTS: This soap sells well. Good lather, gentle. COMMENTS: It resulted in a soft bar but still an easy MP base to work with. No issue with adding mica or fragrance. COMMENTS: This soap is very moisturizing and creamy, perfect for melt and pour! COMMENTS: Easy to use. Smooth and creamy, lathers well. Sells well. COMMENTS: This base is gentle on skin and hydrating as well, and detergent free means I can sell my products with pride. COMMENTS: Nice soap base, detergent free and easy to use. COMMENTS: I have learned that anything that contains Coconut products is a total WIN !!! Making some Witches Brew this weekend and will be using this soap base in my recipe. • Family, Friends, and Customers LOVE it ! "Detergent Free Coconut Milk MP Soap"
COMMENTS: This MP soap was so easy to work with and the lather feels fantastic on your skin. The lather is creamy with a small amount of tiny bubbles. The is pretty much no sweating from my experience. I'm very happy with this soap base. COMMENTS: Great soap, nice lather. COMMENTS: Very good ....it is a little soft & need to be careful coming out of the mold...also gently wrap soap as it does flatted the design if wrap is too snug. I have used clear tape on cello bags with no shrink wrap. I used it with Three Wise Monkeys mold scented with Monkey Farts! COMMENTS: My clients love this soap, I use cool coconut FO & it rocks! COMMENTS: This is my first time using this base. I was concerned because I am allergic to coconut, but I have no problems handling it. Very nice! COMMENTS: I like this soap. Low sweat. Lathers well and not too drying. COMMENTS: For one it's difficult to find detergent free Bases. I love them that's all I use now, CC has the best quality for the best prices, Thank You!!!! COMMENTS: I really enjoy using this soap. I use it to make a facial detox bar. It doesn't dry out my skin. Which is great since I use it every morning. "Detergent Free Coconut Milk MP Soap - 2 lb Tray "
COMMENTS: This was my first experience with this soap base and again - as with others - I was not disappointed. I used this for an adult soap and a kid's soap recipe(s). It accepted color and fragrance without any issues and unmolded beautifully. As coconut products are a hot item currently, I sold out almost immediately of both products. I have more on order as I know this one is a definite keeper in my line. COMMENTS: If ever there was a luxurious melt and pour soap base, this is it! This one is extremely beneficial for those with very dry skin. I tried it on a whim and now I am hooked! I have a couple of customers who are hooked on it too and will use nothing but coconut milk soap! It takes fragrances quite well and colorants do well with it too. Buy it, you won't be disappointed! COMMENTS: This base pairs really well with coconut, mango and other tropical fruity fragrances. It cuts like butter, melts easily and sets up like glass. No problems with sweat. I love it, I'm transitioning to all DF bases! COMMENTS: I live this M&P. There hasn't been any sweating at all. The coconut is so moisturizing and its a best seller. COMMENTS: I use this in M&P soap and it is a very nourishing base that leaves skin silky smooth! COMMENTS: You can smell the coconut aroma coming through this base. Also like that it is SLS free. COMMENTS: I really like the nice lather this base produces, and it's light, creamy scent is pleasant all by itself. I especially like it for use with tropical or fruity FOs. COMMENTS: This is absolutely the best product available and it's so easy to use. Melt, pour, and add any individual touches to the bar and you are good to go. COMMENTS: This is a great MP soap base. It's pretty soft and easy to cut which also means you will need to add some hardening agents, but the final product I am very satisfied with. There really isn't a strong coconut scent like in other coconut oil based product which I like. Good lather. COMMENTS: Used this with my Monoi de Tahiti fragrance oil and it is one of my customers favorites!! Really nice soap base!! "Perfect treat for men and women "
COMMENTS: I like the detergent free option. This soap is very white and accepts color and FO & EO well. Its very moisturizing. This soap is easy to work with and unmolds easily. There is no sweating. "Low sweat, and nice lather"
COMMENTS: I love this soap, but be careful with it in the hot summer, it melts quickly!!! COMMENTS: This is by far the best MP base I have used. It melts nicely and lathers very well. I am so glad tried it! COMMENTS: This is by far my favorite soap. It holds the fragrance the best and leaves your skin so soft! It is the only one I use now. "Coconut Milk Melt and Pour soap is perfect for sug"
COMMENTS: Love the consistancy of this melt and pour. Moisturizes and is super soft on the skin. I use this blend to make my sugar cube scrubs and my customers absolutely love them. COMMENTS: base is creamy and nice to the touch. It lathers every well. COMMENTS: A decent base. I wish it was free of propylene glycol. It wants to skin over so keep stirring. COMMENTS: Only made half of the 2lbs I ordered. First batch seemed a little on the oily side and I had some issues with sweating, (my own fault though)... but going to try the other half and hoping for better results because I love the other detergent free bases! COMMENTS: So great soap base!!! COMMENTS: I like this base. It also gives off a bit of coconut scent. I love the pure white. COMMENTS: This is my favorite soap out of all the MP Bases. COMMENTS: This is my very favorite base. I love the way it lathers, I love the way it performs, I love how creamy it is and most of all I love how it does not dry out my skin. I almost exclusively use this base after trying all of them. COMMENTS: I enjoyed using this base, the moisturizing quality was good and it colored and poured well. COMMENTS: I like this soap base . It is so versatile. I use it for my sea salt scrubs and my gift soap. "Another winner from the detergent free line"
COMMENTS: This soap is a good cleaner, great lather, rinses off nice, retains scent well and has been a boon to the business. COMMENTS: I use this soap for EVERYTHING!! It's awesome! Smooth, creamy lather, easy to work with and add stuff to, perfect with all the tropical scents, and holds colors well too! Five stars and two thumbs up! COMMENTS: A great alternative for goat milk when customers want a vegan milk soap. Takes color and scent well and sets nice and hard. "Coconut Milk Melt and Pour Soap"
COMMENTS: This is a great deal for the quality of soap. They melt very quickly and hold a lot of scent oil and coloring. I also used it to make homemade sugar exfoliation soap (to get rid of the greasiness from regular sugar scrub). Great product. Great price. COMMENTS: I just bought my first 2 lb tray and will order a case next time! I'm mixing it 1/2 and 1/2 with Shea Butter M&P for a Shea Butter & Coconut Milk soap! So far I have made bars in Caribbean Coconut and Pineapple Punch which I colored hot pink and neon yellow and swirled! Now I'm on to Shea & Coconut! How perfect! COMMENTS: This has really gone over great with my customers!!!! "Coconut Milk Melt and Pour"
COMMENTS: I love this product. I would absolutely recommend it to others, and there is no doubt that I'll be buying more when I run out.Anywhere else, 2 lbs of melt and pour soap is $10. 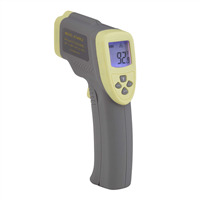 This site has a great product for a great price. COMMENTS: It lathers pretty well for both a hand soft and body soap... It holds the scent I have used very well... It doesn't change color like I thought which is a uber plus... I look forward to getting more soon. COMMENTS: Melts fast, mixes well. Love adding the coconut fo to it. COMMENTS: Coconut base soap is wonderful and leaves your skin so soft! COMMENTS: i realy loved this melt and pour - feels wonderful on the skin & will order more . COMMENTS: I people love it because how it feel on the skin. I can not keep it stock. I am selling out. I am ordering more. COMMENTS: I'm very pleased with the Detergent Free Coconut Milk MP Soap. It melts easily, remains creamy, and is easy to color. It has a very nice lather. I added Caribbean Coconut FO and used liquid pigment to color it a light creamy teal color. It was beautiful! It is low sweat, so does not have to be immediately wrapped. COMMENTS: This is my "go to" base that I use for most of my soaps. You can't go wrong with this one, it's always terrific! This doesn't have any fragrance, but it lathers beautifully and is very moisturizing. COMMENTS: Combined butter, coconut, & goats milk for gentle creamy bars with lots of lather. "Great for Beginners like me"
COMMENTS: I recently bought this soap base & I love it, it is nice & creamy I was adding coconut oil to other bases & don't need to with this base. COMMENTS: I have used a lot of coconut oil MP-this is the best-low sweat and natural-you can't go wrong! "Love love love this base!" COMMENTS: Smooth, creamy and luxurious feeling. No funny smells, melts easily and always a top seller. I use these when I'm in a pinch but let me tell you I like this a lot more then many CP recipes, plus it's super easy and fast to make some beautiful bars. Yes it does seem to take longer to set but hardens up great! I'll definitely order more. I use this as an alternative milk soap for vegan products. COMMENTS: I love this soap bar! I'm a huge coconut milk fan, and this was one of the first melt and pour soaps I bought. It hold color and scent well, melts easily, and will leave your skin feeling nice and soft! COMMENTS: One of my favorites and add coconut FO and smells so good! "Great soap base with very little to no sweat"
COMMENTS: I love this white base. It is bright, and has very little to no sweat to it. Also I love that it is detergent free. 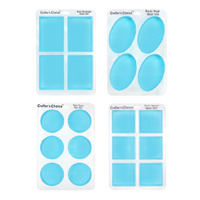 It is a great soap base to use for melt and pour soaps, I will be buying the big block. COMMENTS: This is my absolute favorite soap product! It is SO easy to formulate & make your own! Leaves my skin feeling wonderfully silky & smooth too! COMMENTS: This soap base is wonderful. It has a nice light scent on its own and my customers really like it. Looks very pretty with a bit of color and some opal glitter added. Sold lots of these bars for an event. One of my favorite soap bases. "Great soap with lots of bubbles!" COMMENTS: I love how much this detergent-free base bubbles! It is not creamy at all just bubbly which is a nice comparison to the three butter base that I normally use. It also leaves you feeling nice and clean but not dry just like all of the other deter-free bases. COMMENTS: 1. Melted SO easily. 2. Poured SO easily. 3. Not super hard when it hardened. (Seems to melt with body heat, but firm enough to keep its shape in storage.) 4. Price was appropriate. 5. Very faint coconut smell. (Will disappear with any fragrances that are added.) 6. Low foaming unless you really scrub. 7. Holds color well. Bottom line: I would buy this product again. COMMENTS: My customers and myself love the Coconut Milk Soap! Creamy and smooth, great lather! Leaves skin feeling great! COMMENTS: Obviously you need to know if someone is allergic before using due to it being a nut product but this is great. I love it and wish it would come along in the non-detergent free like others have. "LOVE the soft coconut aroma!" COMMENTS: My absolute favorite. Doesn't even need a scent- though I love with lemongrass! Super easy to use. COMMENTS: this is very easy to use and makes a great quality soap product! Absorbs fragrance and essential oils very well! "Detergent Free Coconut Milk "
COMMENTS: Coconut Milk Soap base is great for all kinds of soap bars, liquid soap or in a hand scrub. It doesn't have a strong smell to it and retains essential oil smells really well; so far I have made lavendar, rosemary lemon and mint, and honey-vanilla. It is a lighter soap base than the shea butter and is great for hands or a body soap in the shower. I have found this soap is also great when mixed with seeds like flax seeds or lavendar as it provides a smooth surface on one side and a more coarse side for scrubbing. Great buy for a more simple base soap. COMMENTS: This base is super creamy and has a great foam and is gentle on all skin types! COMMENTS: Great price & great product. COMMENTS: I purchased this melt and pour soap to use with embeds on my soaps. This base is odorless and has held up (no melting) during the hot Georgia weather today!! A great base. Thank you WSP! "Soap base for Lavender soap"
COMMENTS: I use it for Lavender soap and it works great!! COMMENTS: WOW!! This soap lathers up great. And my customers love the way it makes their skin feel. I am getting ready to order 24lbs. I will be using this for one of my main soap bases for sure! Thank you! COMMENTS: I purchased this soap to make frosting for my bath bomb cupcakes....All I can say is awesome. It whipped to an amazing consistency and held the color and scent well. My cupcakes finally have found their topping. Love this product and love the price. I will definitely be buying more of this soap. COMMENTS: Love how this M&P performs and I get lots of compliments from my customers. Definitely would recommend.